Sometimes you just have to pick your fights. We had guests over the first days of the chag (holiday) whose son, who had just returned from a year of study at a yeshiva in Medinat Yisrael, proceeded to quip, “my rebbe in yeshiva told me that the most depraved Jew is more righteous than the nicest goy (non-Jew).” I was infuriated but opted not to respond to a comment that, in the scheme of things, places Bernard Madoff on a higher spiritual level than say a Mother Theresa or the Dalai Lama. My seder was ripe with jokes about Modern Orthodox rabbis (followed by jokes about Reform rabbis) along with a couple of jokes about Mexicans where someone explained to me that all Hispanics are Mexican. Can you say…”cruising for a bruising”? What kind of trash talk did you hear at your seder? Go ahead, get it off your chest, I’m listening. No real trash talking, but I felt like a kid in the room with a bunch of adults. I was the youngest person there, save the two kids. It was rough. Well I'm extremely honored that my comment became the basis of an entire AH post! The “trash” actually occurred on the Second Day of Pessah at lunch after Tefila. 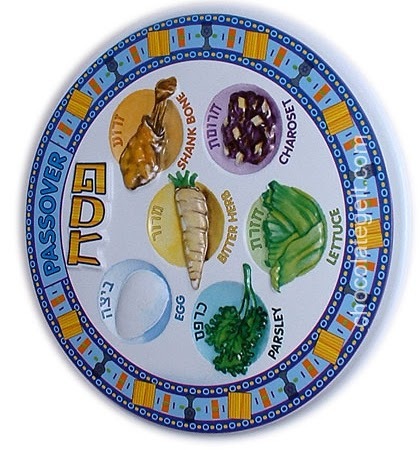 Our Sedarim consisted of elderly guests, my wife's cousins and my Mom & Step-Dad, whose main comments were those of awe over the ability of our awesome second grader to participate in all aspects of the Seder. As to the “trash”, I emailed Rabbi Marc Angel about this and he noted that the Rambam, in his day, railed against this sort of ethnocentrism. Well Pessah 5769 is behind us. Happy Sefira! My husband is an African American convert and I’m eastern european. We went to family in a ‘highly yeshivish’ neighborhood…the entire pesach, we were constantly reminded how we needed to find an ‘accepting’ neighborhood that was ‘warm and heimishe’. I kept wanting to retort- What does this say about the neighborhood you live in? That it is unnaccepting and cold? Then why do you live there? Its not that we have to seek out this illusive ‘accepting’ neighborhood, but this version of cold, elitist, racist, paranoid version of Judaism needs to be eliminated for the betterment of all Jews. I won’t be invited back . . . because I DID pick a fight. I teach minority kids and when that topic came up, I fought back. My sweet, shy, appropriate husband was so supportive. We were the only American-born Jews at the table, and the only ones who supported immigration for non-whites. Anonymous, it’s a good thing I wasn’t at your seder table, I definitely might have punched someone. No immigration for non-whites? Yeah, racism is dead alright. NOT! Anonymous, it sounds like by urging you to search for that “accepting” neighborhood, all they did was remind you of the racism in their own neighborhood.